This relatively young brewery (opened in July 2014) prides itself on taking unique turns on classic German-inspired beers. 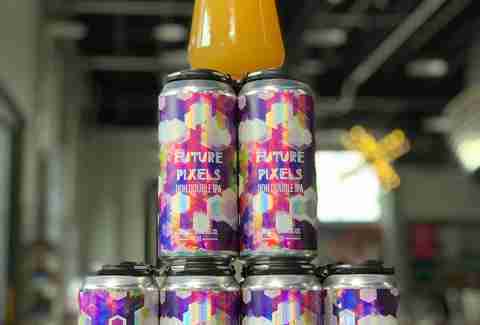 That experience runs from the Bauhaus-inspired cans to the liquid lovingly housed by those cans. It's constantly upping its production, too. The decidedly non-German Sky Five Midwest Coast IPA is a must-try, and you’re probably best off imbibing at its Minneapolis taproom that has a full calendar of trivia and events. All hail the great, underappreciated porter. Stouts get the spotlight through our coldest months, but this Baltic porter is every reason you shouldn’t be scared of seeing porter on the label. The differences are far from extreme, and you’d be missing out on this beauty. This brewery will allow you to purify yourself in the cool waters of Lake Superior. Bent Paddle makes all of its beer with water from the Great Lake, and it has become an Iron Range staple since opening in 2013. From the piney 14-Degree ESB to the beloved Cold Press Black Coffee Ale, almost every beer is a winner. The Venture pils might even make you shake the erroneous belief that pilsners are boring. It now has a new, expanded taproom across the street from its original location giving you one more reason to trek up north. The intense barrel-aged version of the Duluth brewery’s black ale is a winter staple as necessary as your annual bottle of Surly’s Darkness. The barrel doesn’t overwhelm the flavors due to a heavy dose of cold press coffee and vanilla. This may not be for everyone, but if it’s your cup of tea, you’re going to be in love. 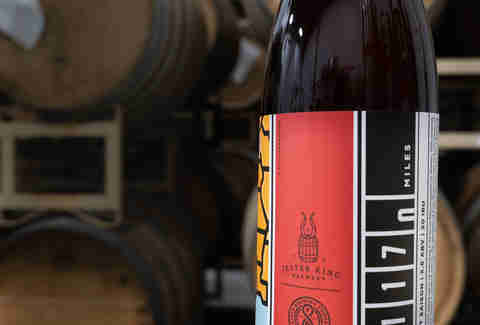 It’s named after the rough distance between Minneapolis and Austin, Texas where you’ll find Jester King, the brewery that collaborated on this light, sour treat. It’s an apt name since the beer emphasizes place with adjuncts like foraged spruce tips from Minnesota and rosemary from the property around Jester King. 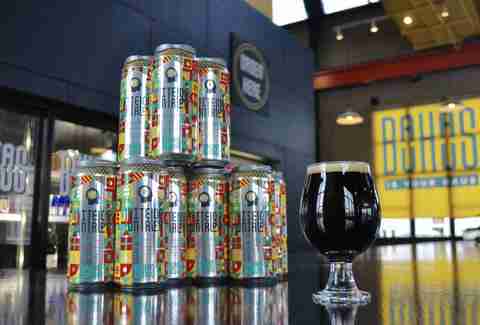 An OG among the garage taproom lot, Fulton might be one of Minnesota’s best-kept secrets. Its Sweet Child of Vine is a hoppy-sweet staple, and the Lonely Blonde is a reliable lunch-pail kind of brew. Doing simple things exceptionally well has been Fulton's calling card, but there’s plenty of creativity to be found as well. Its taproom, which recently launched a permanent Airstream-housed kitchen run by Executive Chef Joe Majeski, is full of playful beers that are sometimes so good they have to become a permanent fixture like the Mosaic-hopped 300. It’s also ideally situated for grabbing catching a Twins or Timberwolves game. Indeed puts out a lot of beers. In lesser hands, that might not be a good thing. But no one is complaining here, especially if you’re sipping beers in its small but homey taproom. Its rotation of seasonal IPAs -- Let it Ride, Peach Bum, Let It Roll -- is totally delightful. Oh, and get your hands on a Day Tripper pale ale. You will regret nothing. Like any old friend, Old Friend is eventually going away. This is the last year Indeed will brew the spicy winter pillar full of ginger and orange peel. Is it my favorite beer at Indeed? No. But it’s a tasty change of pace, and this is your last chance to enjoy it before a different winter seasonal replaces it permanently. A handful of breweries in Minnesota feel deeply connected to Minnesota’s history and rural roots. Lift Bridge is one of them. If one beer could tell a brewery’s story, it’d be the Farm Girl Saison. It’s so Minnesotan, one sip might make you instantly knowledgeable about Warroad hockey and Walter Mondale’s youth. 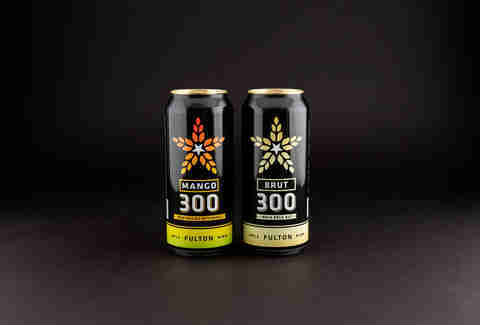 Though, the non-alcoholic root beer and the annual Peaks and Prairies collaboration show the brewery’s breadth and willingness to branch out. (You can track down the root beer at Sebastian Joe’s for a root beer float, which isn’t beer, but hell yes anyhow.) The almost always-busy taproom highlights the brewery’s prowess by showcasing new flavors weekly on Firkin Wednesday. The 2017 batch is as good as ever. It’s wonderfully sweet and malty with its signature touch of cardamom and bourbon. 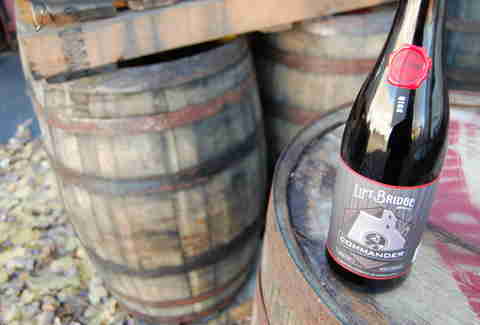 The annual release is aged in freshly dumped Heaven Hill barrels (just like Goose Island’s Bourbon County Stout). Yeah, it's cider. It may be cheating to include it here, but I’m a cheater. Also, it’s worth noting there’s good cider in Minnesota. Part of the reason it’s worth cheating is even a non-cider-drinking beer lover might dig up something to high-five about at Sociable. The Hop-A-Wheelie drinks more like a beer than you’d expect. It’s dry, not too sweet, and full of hoppy layers. 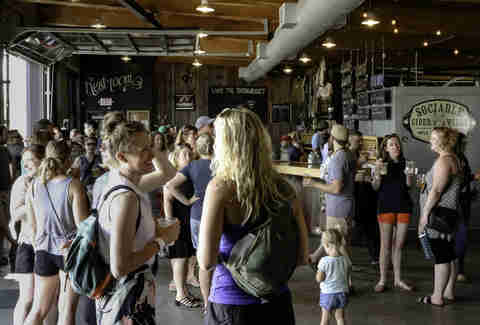 The taproom even serves hot ciders and keeps it local with food trucks outside the patio. Spoke Wrench may be going away (from cans, at least), but it’s alive and well in Sociable’s line of limited run barrel-aged ciders. They’ve got four BA drinks that aren’t going to be around long. Among the must-try ciders are the Cabernet Barrel Aged Freewheeler and the Brett Barrel Fermented Freewheeler. You won’t find a ton of Steel Toe beers in cans or bottles, but what the brewery does, it does well. What it does well is kick you right in the chops. The Size 7 IPA is the perfect example. It’s everything a hops lover is looking for in a feisty hop-forward brew. Same goes for the Rainmaker India Red Ale. If most taprooms turn you off with their trivia nights and board games, Steel Toe is a minimal space and feels more like a bar than a taproom, except all the beer is good. OK, it’s not a seasonal, but it’s not always easy to find, either. Steel Toe’s India red is a crowd pleaser. It’s worth the trip out to the Saint Louis Park taproom if you can’t get your hands on it any other way. When other Minnesota breweries were still in diapers, and taprooms didn’t litter every street corner, Summit was running the show. Its extra pale ale is a cornerstone of Minnesota brewing. It certainly has a legacy as your dad’s favorite brewery but has stayed fresh with a fleet of solid beers and the Unchained Series, which allows Summit brewers to metaphorically streak off naked into the night. If you want more of Summit’s playful side you won’t find in liquor stores, the Summit Beer Hall is often putting out special taproom-only beers and the prices will make you order an extra. 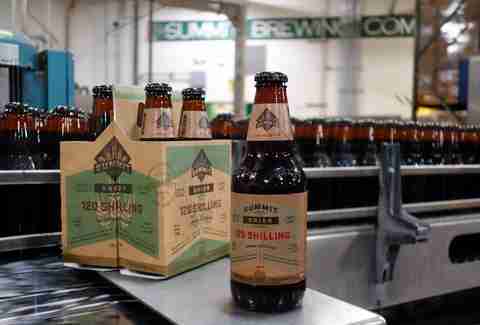 The seventh installment of the Summit Union Series is a hearty, malty drink. It was inspired by head brewer Damian McConn’s time as a brewing student in Edinburgh. 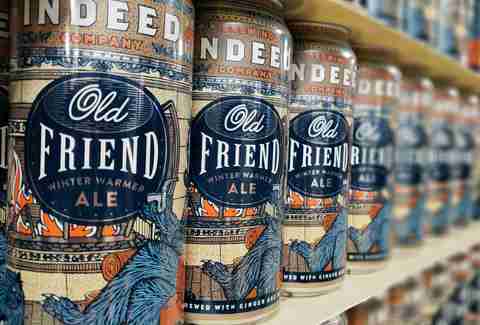 It’s chock full of nutty, malty, boozy flavors. This is the exact kind of thing that Summit does pretty damn well. Abrasive Double IPA at Surly Brewing Co. | Surly Brewing Co. The feisty brewery has built its reputation on Furious, but it carries so many good beers it’s almost unfair. The hoppy Todd the Axe Man is worth the trip alone, as well as the refreshing Xtra Citra pale ale and seasonals like the brett dark ale Pentagram, Wet, and the coveted Darkness. Plus, the spacious taproom is a ton of fun and has an impressive menu, making it okay to sit out on the massive patio playing yard games all day. (Or at least until the MN United game starts.) They also throw fun events like SurlyFest. 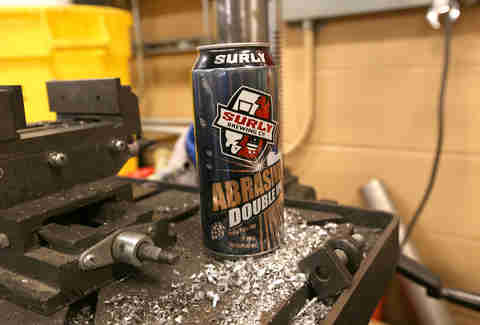 Lovingly named after the old abrasives factory where Surly got its start, Abrasive is, well, kind of abrasive. Like clowns loaded into a tiny car, this can is full of more Citra hops that you might have guessed was possible. If you like Surly’s Xtra Citra, this is probably going to do the trick for you. Think of it as XXXtra Citra. You always know when it’s decorative gourd season, and you always know when it’s imperial stout season. We’re deep in the latter. Lupulin’s Night Witch is barrel aged in Knob Creek barrels and comes out balanced and very drinkable. It’s a whole lot of alcohol in a 750ml bottle, but you’ll probably do just fine. 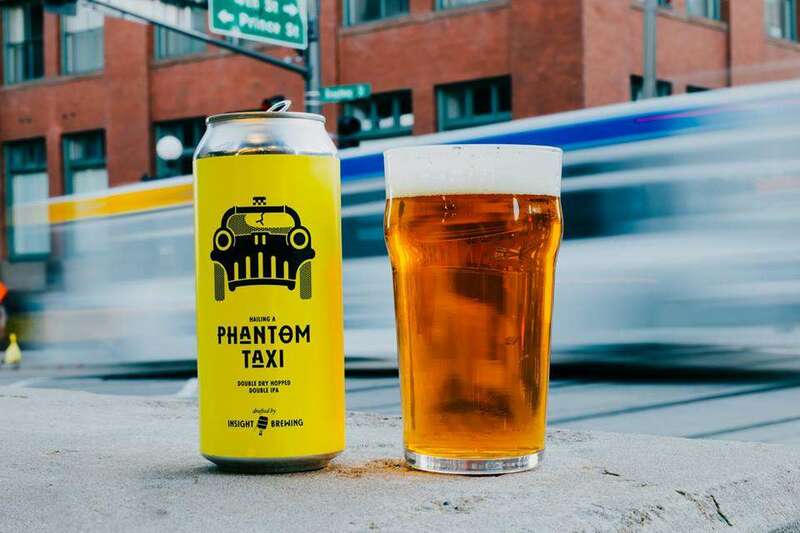 Phantom Taxi smells juicy and fruity, but finishes dry and -- predictably -- quite hoppy. It packs a punch, but if you’re looking for a beer that kicks you in the teeth with hops, you won’t be disappointed. Eds. note: Some of the breweries on this list provided Thrillist with tasting samples.